In the lead up to UMON, with the knowledge that we have gained from scouts at the BUCS league games, we are going to try to provide a bit of an inspection on each team and estimate how they will do at Nationals. Feel free to contest what we are saying aggressively, but this is what we have gathered. Edinburgh have put together a strong but not fantastic season. They have established themselves as the third best team in Scotland and they have had tough runs at Nationals this year, playing UCL at every tournament so far, but consistently looked like at top 8 team. In the BUCS league they have played tight games with Dundee and St Andrew’s coming out on top and then blew Heriot-Watt out of the water. In their games against the two Glasgow teams they didn’t manage to mount a serious challenge on either team, losing at an aggregate of 25-12 over the two games. However, losing to two of the strongest teams in the country when the BUCS league poses roster difficulties won’t define their season nor this coming weekend. Edinburgh have some seasoned veterans mixing it with some promising youth. Names like Gabe, Lochlan, and Joe Pennington should be familiar to you be now and they will lead the team in stats. Their team has a strong offensive identity. Small ball until someone (Gabe) gets it in power position and then they look to hit deep cuts. The Gabe to Lochlan connection has been honed through years of playing together at university and internationally with the last U24 team so we can expect that to be a last resort on any high stall situations. Defensively this team has shown a lot of hustle and grind. 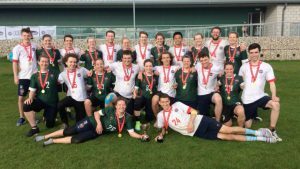 They also have a high number of players who will bid to get blocks and that is something that has not been as prominent across the UK university scene this year, so that effort will give them an edge at UMON. The question will be, how can Joe get everyone motivated to provide that extra energy that may get them the points they need to win for an entire weekend, rather than just for one game. Their league performance has been positive. After losing their talisman Chris Habgood, this team could have had a lot of rebuilding to do. At the moment the two Glasgow teams are ahead of the rest and any of the next few teams could qualify for Div 1. Edinburgh have won that battle, so they can be happy on that level. Beating St Andrew’s will be a highlight of the league season, not only for their close connections to Flatball, but also as it set them above the bottom three. However, despite this team performing well at indoors and looking threatening at UXON, there should be questioned asked about their ceiling. Having not troubled either of the top two teams in one off games, though they may not have had their team at full-strength, will they manage to stay in games against the top teams in the country late on Sunday? Last year Edinburgh’s men destroyed Div 2. Can they graduate with honours? Luckily for Edinburgh, their pool looks to be fairly weak. If they manage to top that they are in a strong position heading into quarters. Even if they mess up in one game, there are no crossovers, so they should really secure a top 8 spot. Prior to the pools coming out, our scouts predicted them to finish between 7th and 14th, likely in the 9-12 bracket, but with their situation I think that would be a disaster now. They should make the top eight and from there, they will need to fight hard not to lose a couple of those games. The top four seems improbable, but the 5-8 is realistic now. This seems like a good place to add in the point that Div 1 teams seem to be able to field more consistent teams through the league and they have more certainty of those players actually going to Nationals. This trend suggests that incoming captains should try to encourage commitment for those events. Maybe there is extra motivation to travel down once you know you are in the top division, but it is a trend nonetheless and qualification from this region requires you to have a good roster going to every game. St Andrew’s showed us you can have one highlight win and it won’t be enough to scare other teams. 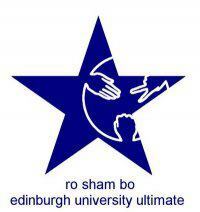 Scotland is like the Premier League of the university ultimate regions. Another note is that the top three seem a lot more flexible in adjusting their playstyle on both sides of the disc. Being able to think through situations and adjust is becoming more important at this level than before when teams could win with one dominant strategy. Now defenses are adjusting and therefore offenses need to adjust and after that it’s the defences turn again. This is achievable as people play together more and know how to react to each other. See point 1.